In this post, I’m going to show you exactly how you can use fenugreek to stop hair loss while increasing growth dramatically. Does fenugreek help in hair growth? How to use fenugreek to stop hair loss? These are the questions I’m going to answer in this post and just to give you an idea, the answer is absolutely YES, however, most people simply have no idea how to use this fantastic herb to increase hair growth and stop hair loss. I highly recommend this shampoo for hair loss, I have used it and it increases thickness and volume fast. Click Here! 3 Does Fenugreek Cause Hair Loss? 7 Does Eating Fenugreek Increase Hair Growth? Using fenugreek the right way can increase hair growth by up to 30%. Indeed, most people think that fenugreek is going to work on all hair fall symptoms! 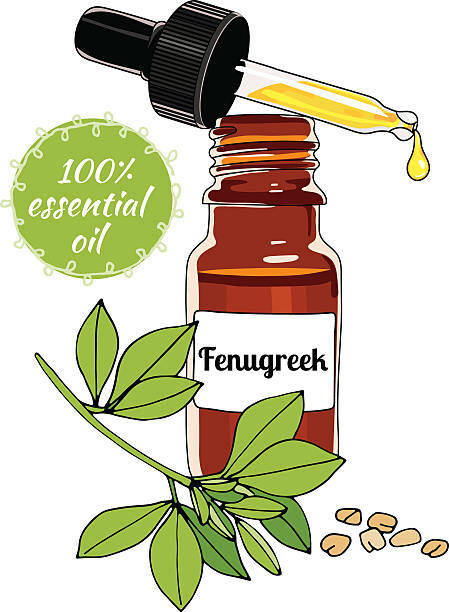 I have to be honest with you; fenugreek is only going to work on your scalp if you know how to use it properly. This is what I’m going to show you, the best techniques to use this very powerful herb in order to get amazing hair growth fast. Here is the thing you need to understand right now, fenugreek is amazing at stopping hair loss because it decreases DHT in your body, so yes, fenugreek is a fantastic DHT blocker. Fenugreek will act on blood testosterone levels in order to reduce this hormone’s conversion into DHT. Fenugreek has a long history of medicinal applications in Middle Eastern medicine and when it comes to hair growth effects, fenugreek has very powerful steroidal sapogenin, diosgenin and its major alkaloid, trigonelline. The main fenugreek benefit for your hair is stopping loss and increasing growth thanks to a multitude of DHT blocking phytohormones, in fact, Bushey, Brandon, et al. lead a research study on 45 men. They were given either 500 mg of fenugreek extract or a placebo. At the end of the study, after four weeks, the group of men who received fenugreek extract had a decrease in dihydrotestosterone (DHT) levels up to -9.42% in comparison to the group of men who were given a placebo. The good news is that fenugreek extract did not increase testosterone levels, however, it was responsible for inhibiting the conversion from testosterone to dihydrotestosterone (DHT). This is extremely important for men and women alike because DHT is one of the most important causes of hair loss! Male pattern baldness is mainly caused by high levels of DHT. Fenugreek and other oils shown in this post have been proven scientifically to help increase hair growth and count as well. How to stop balding with fenugreek! 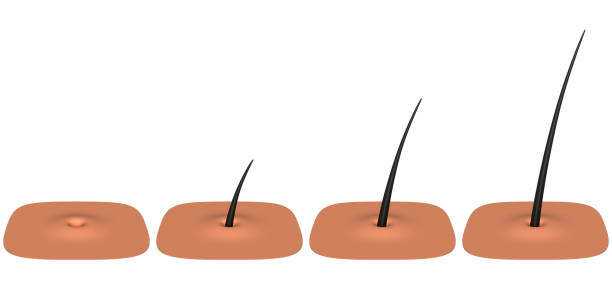 Androgenetic alopecia is the most common type of hair loss that affects men, it is simply known as male pattern baldness or just baldness for most guys. It is primarily caused by high levels of DHT. As demonstrated in many studies, a small intake of fenugreek on a daily bases was able to reduce DHT levels by up to nearly 10%. Of course, this level can be further increased by using other very powerful herbal DHT blockers as I’m going to share with you in some few moments, all in combination with fenugreek. But for now, you have to understand that using fenugreek is very powerful when it comes to stopping male pattern baldness, however, this requires dedication from you and it also requires you to understand how to use fenugreek properly because taking one or two capsules every single day is not going to have a great effect, after all, 500 milligrams a day only reduced DHT by about 10%, which is not a lot if you ask me, however, if you understand the proper way to use fenugreek to increase hair growth, and to stop hair loss, you can easily double or even triple your hair growth results. Does Fenugreek Cause Hair Loss? Many people believe that one of fenugreek’s side effects is hair loss! This is based on the idea that fenugreek contains large amounts of plant hormones, thus, it’s going to create hormonal imbalance in the body which is going to result in hair loss! Fenugreek has been used for thousands of years throughout the world as a staple food and also as medicinal ingredient with very few side effects, and to this date, when it comes to hair loss, no scientific study, to my knowledge, has been written on the subject. So, no, fenugreek does not cause hair loss and you have nothing to worry about when using it on a daily basis, in fact, the opposite is just true, fenugreek seeds have been used for alopecia successfully over and over. DHT isn’t the only cause for hair loss, fungal and bacterial problems can also have a negative role. Most people who are suffering from hair loss while experiencing itchy sensations, pain and discomforts in their scalps, must try fenugreek, it will help them a lot. Indeed, the following study: https://scialert.net/fulltextmobile/?doi=rjmp.2011.695.705 shows that fenugreek extracts have potential antibacterial properties. This means that if your scalp is suffering from itchiness, irritations, inflammations, pus, and hair loss, then, you can start using fenugreek oil on a daily basis in order to get rid of this issue very quickly while also increasing hair growth tremendously. Later on in this post, I will share with you a fantastic fenugreek oil recipe that’s going to get rid of fungal, bacterial, and hormonal problems from your scalp which is going to increase hair growth tremendously, for now, just remember to take a look at your scalp, if its reddish, inflamed, in pain, then, fenugreek is going to help you get rid of these symptoms while also increasing growth and stopping hair thinning. Hair regrowth is almost impossible in most cases. 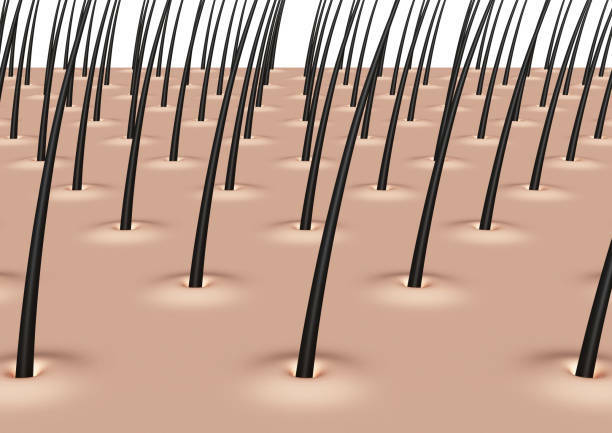 Once a hair follicle is exhausted, it can be very difficult to grow healthy hairs again. Is fenugreek good for hair regrowth? In case you have already lost your hair, then, no matter how much fenugreek you eat or apply on your scalp, it won’t come back! DHT is very powerful, it’s going to exhaust your hair follicles by stimulating hair growth, it’s like frenzy, they are going to keep producing new hair threads all the time which is going to drain them and leave them dead! I know that this is going to sound disappointing to you, but don’t worry, there is great news: while hair regrowth is impossible, hair growth is very possible. Yes, this is very confusing, but I want you to bear with me a little. When you start applying fenugreek to your scalp the right way, it’s going to stimulate the remaining hair follicles you still have into producing thicker and healthier hair strands; this is going to give your scalp more hairs and more volume as well. In the end, you are not going to have a very thick hair line, but at least, you are going to still have some hair on your scalp! I’m sorry to be this honest with you, but I need to tell you the truth, I’m not here to lie to you, I’m only going to report what science has proven, hair regrowth is impossible, no matter what snake oil salesmen tell you. 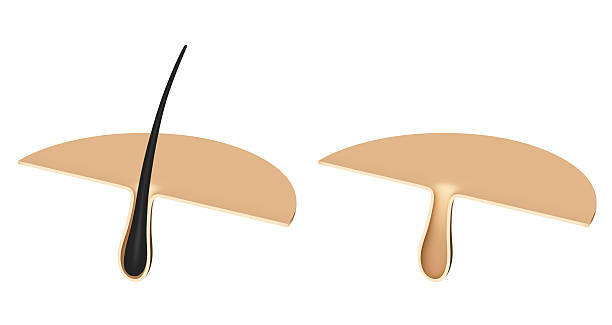 First of all, check whether your hair loss is related to hormonal, bacterial or fungal problems. 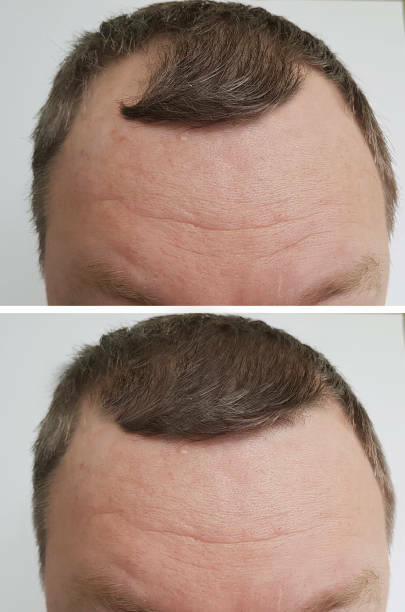 You can be sure about this by checking your scalp thoroughly and see whether you are having dandruff, bald patches, itchy sensations, and redness, if it’s the case, then you are probably having a fungal infection in your scalp and it will simply affect negatively your hair line, it may even result in permanent hair loss! However, if your scalp is free of pain, itchiness, and dandruff, then, you are probably suffering from a DHT related hair loss, in other words, your hair problems are hormonal. Don’t worry, in a few sections, I’m going to reveal how to use fenugreek for all these issues. Does Eating Fenugreek Increase Hair Growth? Fenugreek powder is one of the most powerful ingredients to use to increase hair growth and volume. Whether you are suffering from fungal, bacterial, or hormonal hair loss, DHT related, you need to start consuming ground fenugreek seeds! Yes, eating fenugreek is going to increase hair growth tremendously, remember that the seeds are packed with amazing nutrients. For example, one tablespoon of ground fenugreek seeds is going to contain roughly 3 grams of fiber, 20% of your daily requirements of iron, 3 grams of protein, 7% of your daily requirements of manganese, and 5% of your daily requirements of magnesium. All these nutrients are extremely important for hair growth plus, by ingesting fenugreek seeds, in their ground form, you are directly flooding your body and most importantly, your hair follicles, with those fantastic phytonutrients that block DHT and reduce its levels in order to increase hair growth. 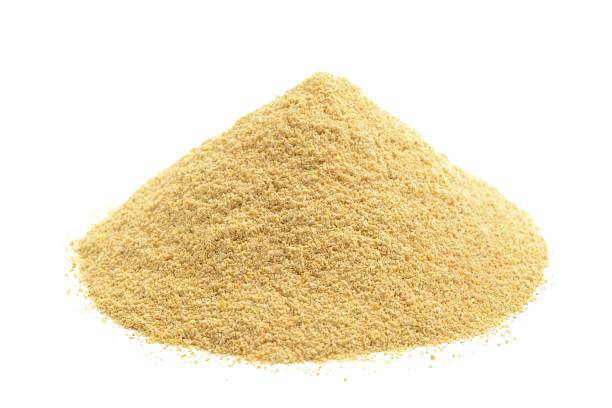 In this section, I’m going to show you the best way to use fenugreek powder for hair growth. You should consume at least one teaspoon a day of ground fenugreek seeds, it’s very rich in phytoestrogens, as mentioned before, which are going to counter act the harmful effects of DHT on your scalp. One teaspoon of fenugreek powder a day is not very difficult to take, however you have to drink a lot of water with it as fenugreek can be a bit difficult to handle by your stomach. More importantly, I want you to only have ground fenugreek seeds after breakfast, this is very important since the first times, your stomach may have difficulties digesting it, so, always after breakfast and preferably with a large glass of water. Making fenugreek powder may seem like an easy task, well, it is, however, it can easily be over processed and end up losing its amazing phytonutrients and powerful phytoestrogens which are going to block DHT and increase hair growth! Of course, we don’t want that. The first option you have is to buy premade one, in other words, you go online and you buy fenugreek powder in a bag, it’s the most convenient way in my opinion. The second option you have, and the one I use, is to make your own. First, you need a very powerful spice grinder. In it, you put five tablespoons of fenugreek seeds, not roasted, not boiled, not toasted, and not processed whatsoever, raw. You turn on your spice grinder for a minimum of three minutes on high, trust me, this is very important in order to reduce it to a fine powder. When you are done, simply put in a glass container and in your fridge, it can last for up to four weeks. Both fenugreek capsules and pills can be extremely beneficial for hair growth, and most importantly, they are a fantastic option if you don’t want to use fenugreek powder. Every day, instead of having one teaspoon of ground fenugreek seeds, I want you to keep the same conditions, meaning that you need to take your fenugreek supplements after breakfast and with a large glass of water, so, simply take three fenugreek capsules, a minimum of 610 mg each, Nature’s Way is the brand I use. In this section, I’m not going to talk about ingesting fenugreek, I’m going to talk about applying it directly to your scalp in order to increase hair growth and reduce DHT levels, this is also extremely beneficial if you want to reduce inflammations, itchiness, and dandruff as well. The best way for you to stop hair loss is to use fenugreek paste on your hair and scalp. Simply grind five tablespoons of fenugreek seeds in a powerful spice grinder and mix them with olive oil, use as little as possible until you get a homogenous paste, mix everything very thoroughly and then apply to your scalp, don’t forget to massage very gently, then, leave on your scalp for a minimum of one hour. When you are done, simply rinse using your favorite shampoo. I do this every single week, on Sundays, this is a fantastic fenugreek hair growth mask, of course, it’s a little smelly, however, it’s very beneficial for my hair. Fenugreek oil is an amazing hair growth booster as it lowers DHT levels rapidly. In this section, I’m going to share with you one of the most powerful fenugreek oil recipes you can use for hair growth, unlike fenugreek paste which should only be used once every week, preferably on Sundays, this fenugreek oil recipe can be used every single day and it’s also extremely powerful since it’s going to reduce hair loss dramatically. Pumpkin seed oil, which is extremely beneficial for hair growth as shown in the following study: https://www.hindawi.com/journals/ecam/2014/549721/ , where it’s demonstrated to have a 30% increase in hair density and count. First of all, you take five tablespoons of ground fenugreek seeds, and you mix them with ten tablespoons of pumpkin seed oil and five tablespoons of safflower oil. Put everything in a glass container for two days in the fridge, this is more than enough for fenugreek seeds to release their powerful phytoestrogens and nutrients which are going to increase hair growth. Then, using a stainless steel strainer, I want you to sieve the remaining ground seeds and get rid of them while only keeping the oil. Every morning, after waking up and having your ground fenugreek seeds, I want you to take one teaspoon and simply apply it to your scalp, make sure you massage very thoroughly for two minutes in order to cover all your hair follicles with this fantastic growth oil. When you are done, simply wait fifteen minutes, then, use a good paper towel or a clean towel to get rid of as much fat as possible. I know, this is going to sound strange, but I really don’t want you to use any shampoo for a minimum of three days, yes, you are going to apply the growth oil to your scalp, get rid of as much as possible using a clean paper towel, and then simply go on with your life. Of course, you can shampoo your hair once every three days. This is very important in order to keep your fragile hair follicles away from solvents and other chemical compounds found in most shampoos. If you haven’t yet, try to get this AMAZING hair growth shampoo. Click Here! If you are not a big fan of consuming ground fenugreek seeds, then, you can use fenugreek tea instead; it’s also very powerful for hair growth. However, it’s not as powerful as ground fenugreek seeds; nevertheless, it’s very efficient and will also increase growth and hair count as well. Every day, simply take one teaspoon of ground fenugreek seeds and brew it in boiling water for ten minutes, then, add some honey in order to get rid of the bitter taste a little and enjoy. Drinking fenugreek water for hair growth can also be a viable option; however, it’s not as powerful as ground fenugreek tea. Nevertheless, if your stomach cannot handle fenugreek powder, then, you should look into this option as well. So simply take one teaspoon of fenugreek seeds and soak them overnight in half a cup of warm water. In the morning, simply drink the water while discarding the soaked fenugreek seeds. 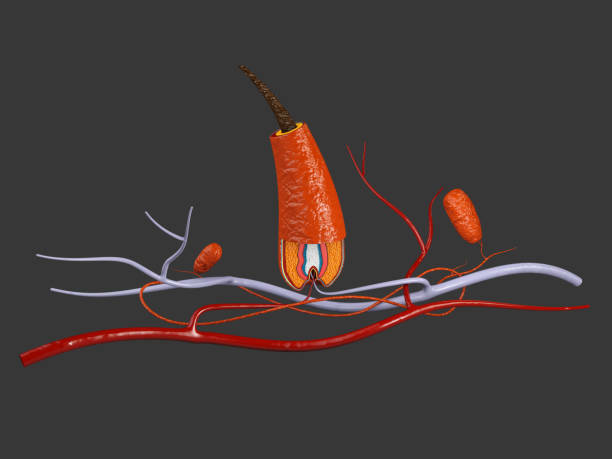 The nature of a hair follicle makes it very difficult to see results rapidly. You have to wait at least 4 weeks until you start noticing new hair growth. You are going to start noticing new hair growth in about four weeks. This is the bare minimum; in fact, you shouldn’t stress yourself while trying to increase your hair growth! Instead, I want you to relax, do your fenugreek hair ritual every day, enjoy your two teaspoons of ground fenugreek seeds while massaging your scalp using fenugreek oil and you will be fine, I promise, you are going to notice huge improvements within four weeks. hormone in male. Because if it increase, that means it cause baldness. And if it decrease, then it helps for hair loss. Yes, it will help lower DHT levels a little, use its oil on your scalp. I am a male and I tried the paste. Worse thing I ever did. My hair started falling on the second day where as prior to putting on the paste no hair was falling out thanks to the natural DHT blockers. It’s been falling out for the last 5 days and I can’t seem to stop it even with the DHT blockers. My hair still has the odour of fenugreek even though I wash it thoroughly. My take on fenugreek is that it increases DHT and it is not good for men. Don’t listen to anyone who makes a statement that fenugreek decrease DHT. Stick to the real DHT blockers and argan oil. I highly recommend that you give it more time, trust me, I’ve used fenugreek and it’s amazing for hair growth! However, if you don’t like it and feel that it won’t be any good to you, then try something different, maybe it’s not good for your, but for people I know, it helped them a lot. Does fenugreek seeds block DHT level by applying and eating ? Yes, but if you applied as a cream, it will have the best results.